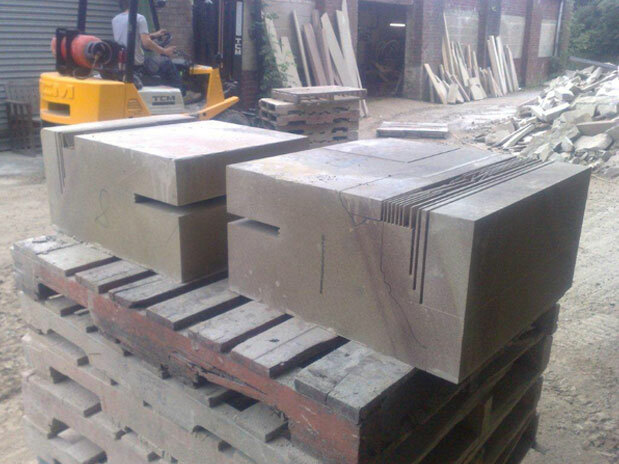 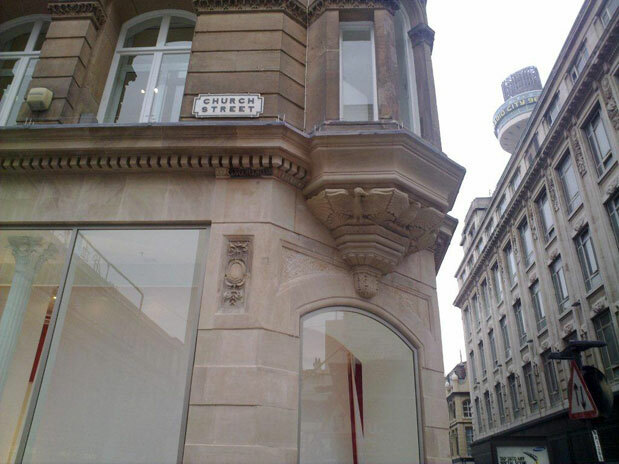 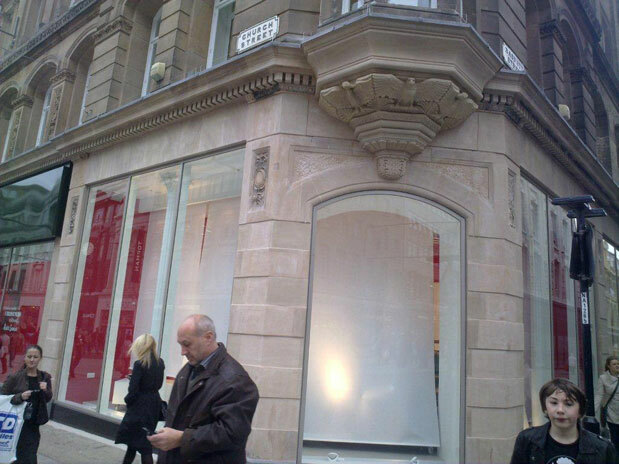 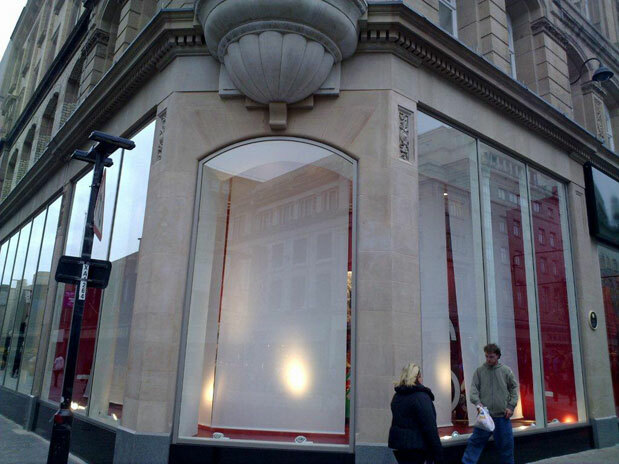 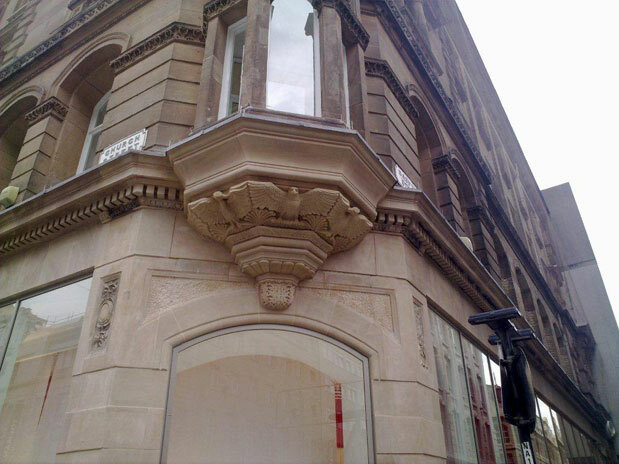 In 2009 Burnaby Stonecare commissioned us to undertake the supply of finished masonry for their renovation of the Marks and Spencer, Compton Building in Liverpool. 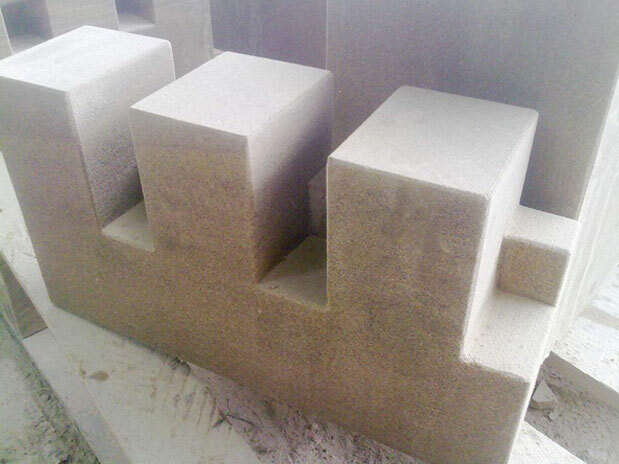 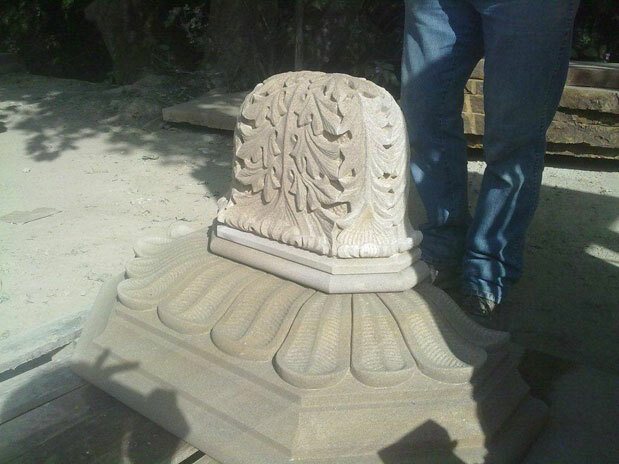 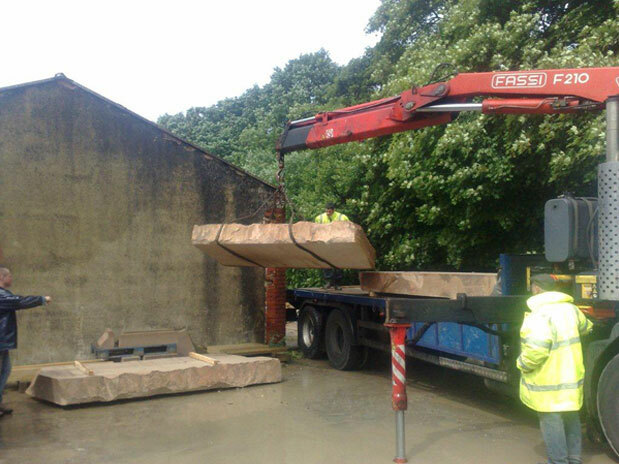 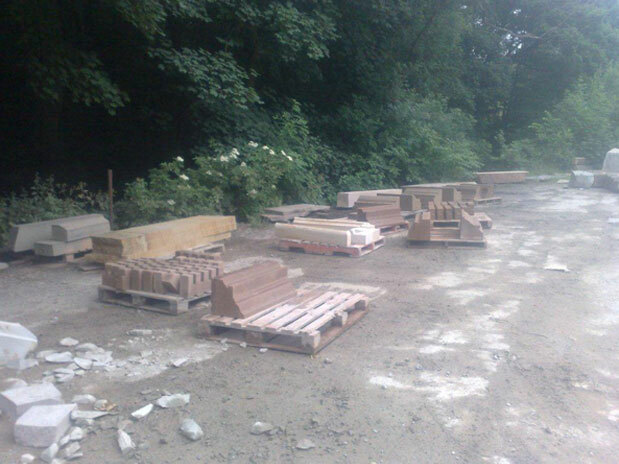 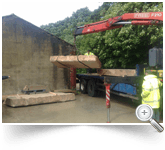 Our first task was to locate the stone and to ensure supply. 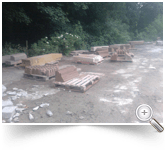 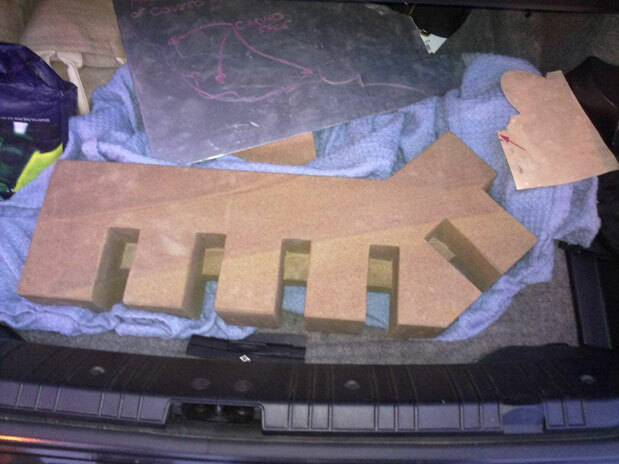 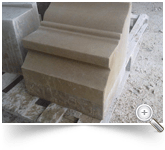 We found that Peakmore Wild Pink to be the most suitable and Blockstone in Chesterfield were able to fulfil our requirements. 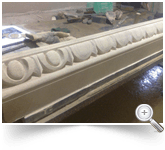 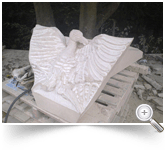 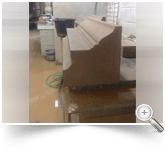 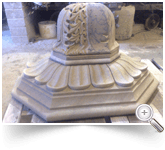 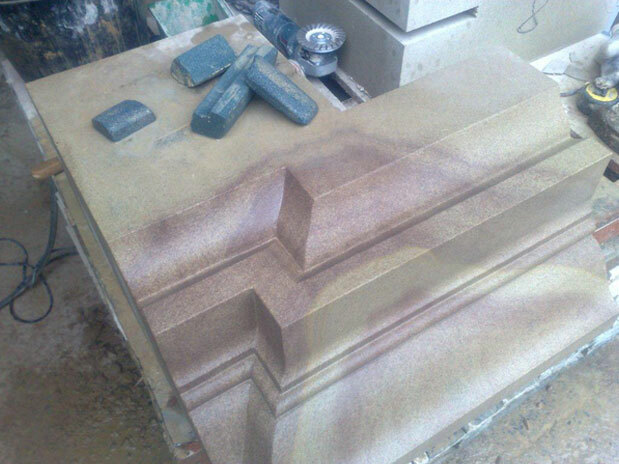 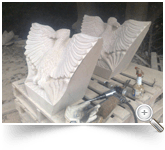 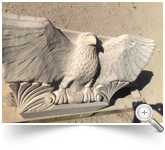 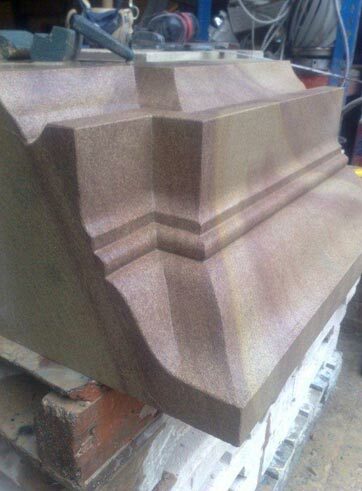 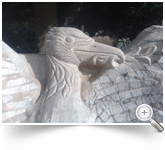 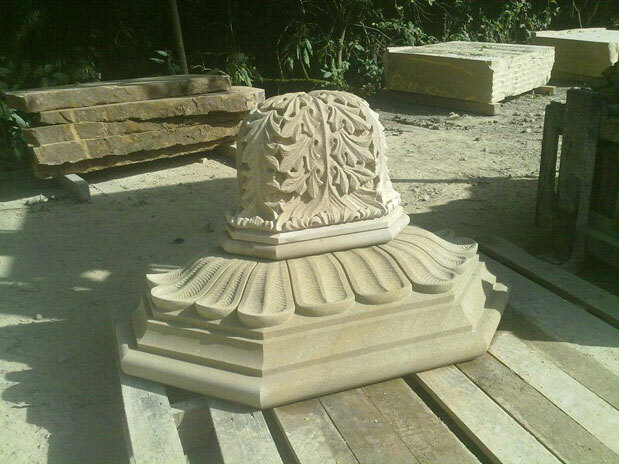 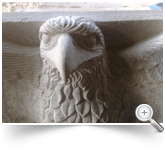 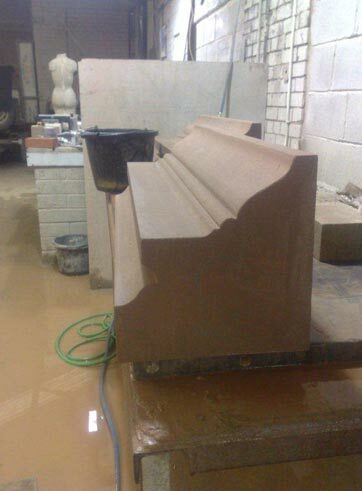 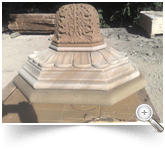 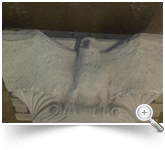 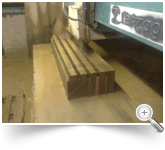 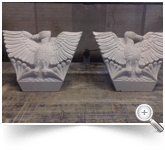 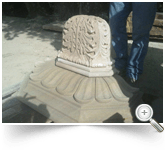 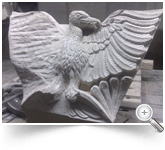 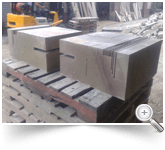 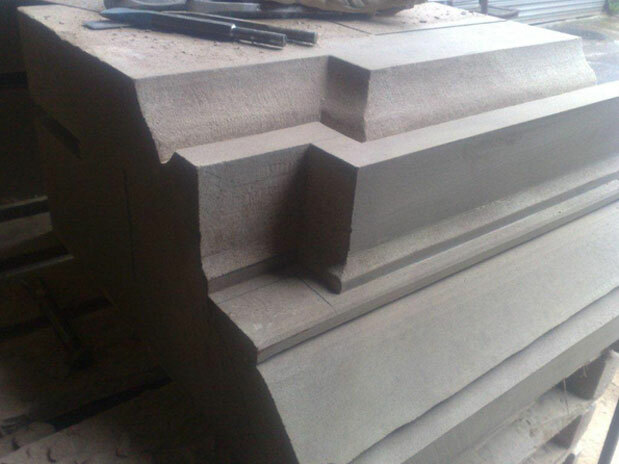 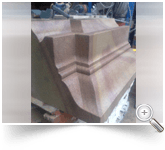 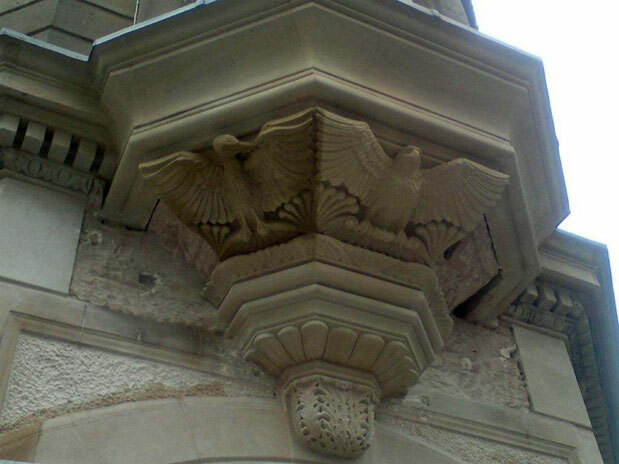 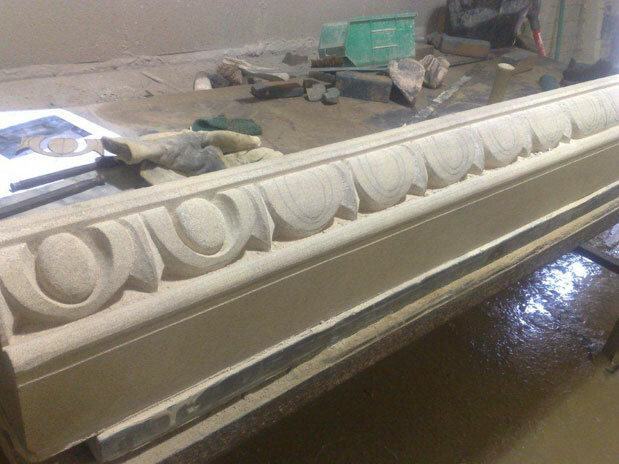 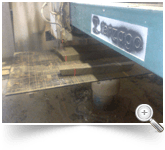 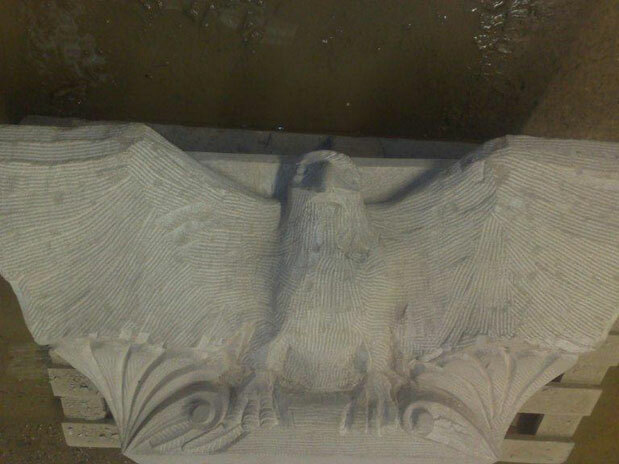 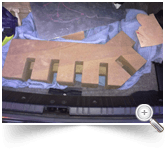 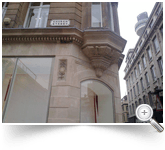 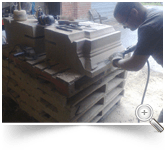 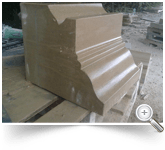 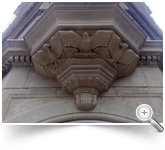 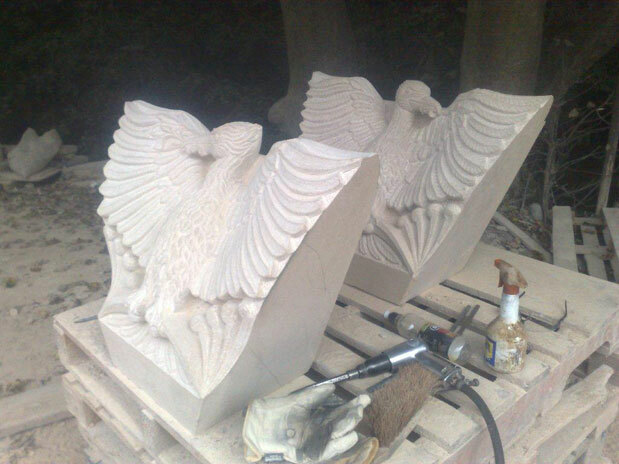 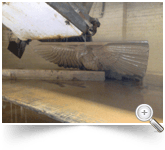 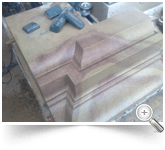 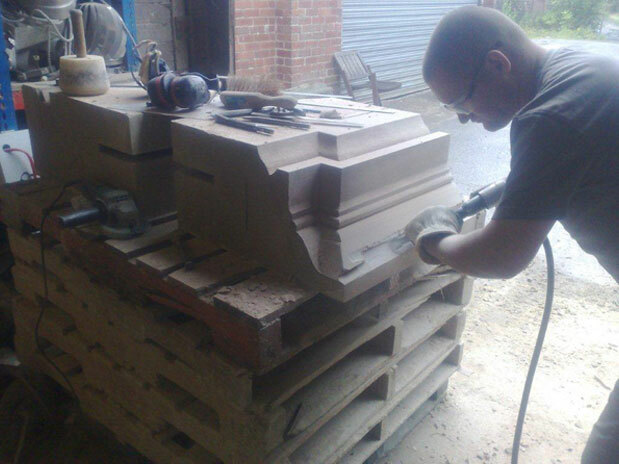 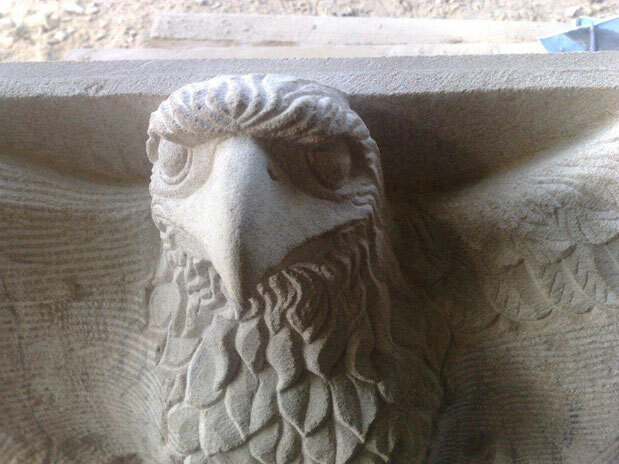 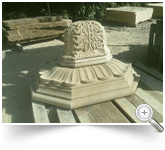 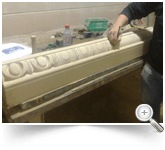 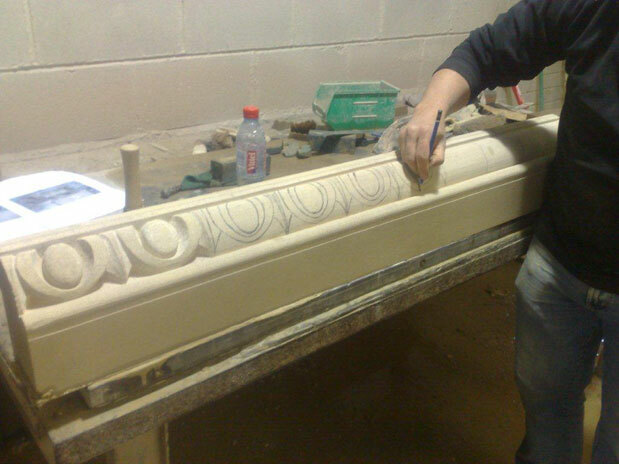 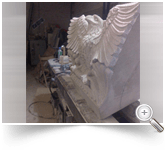 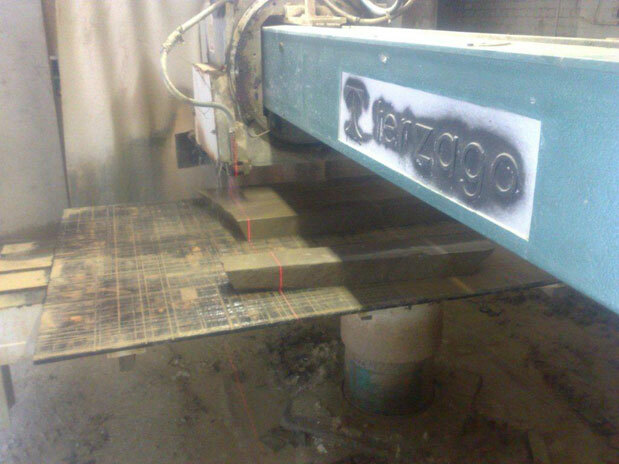 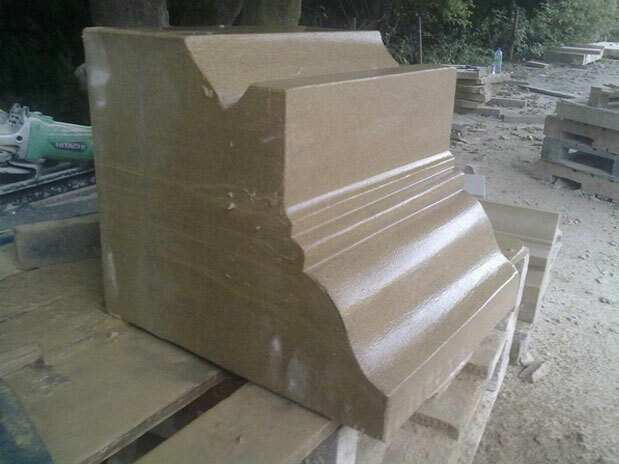 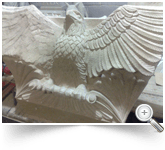 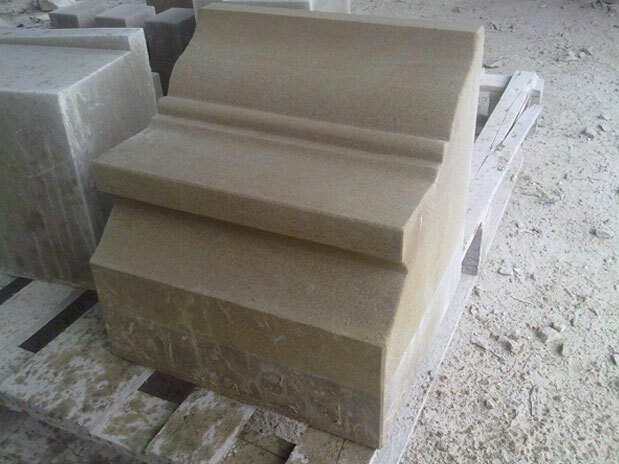 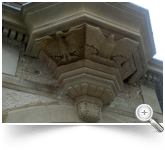 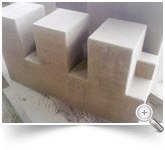 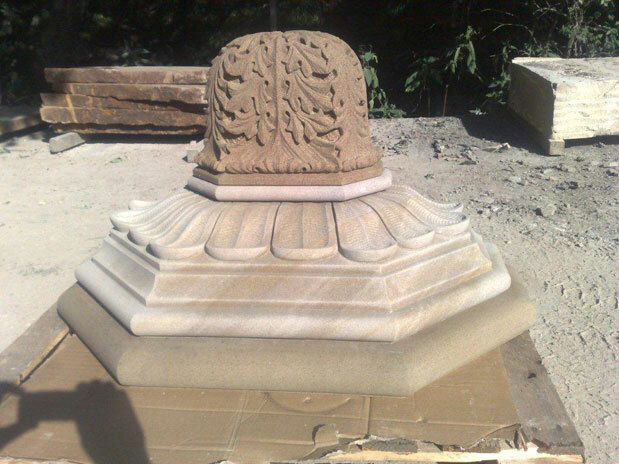 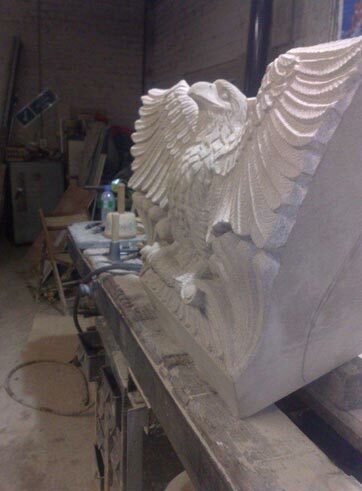 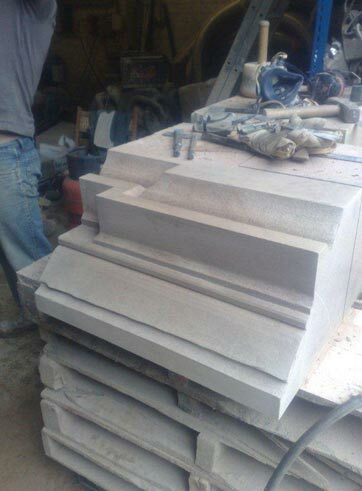 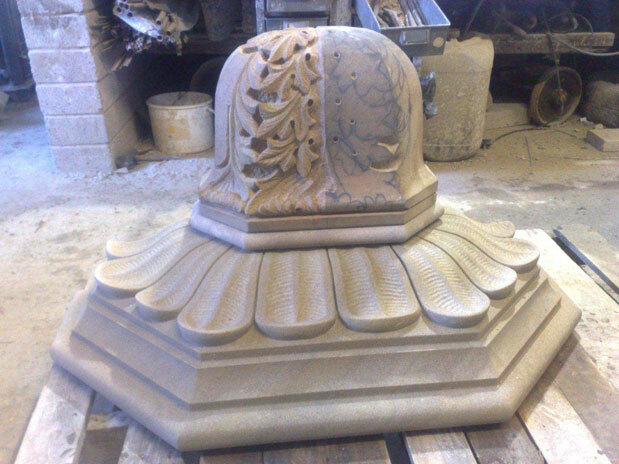 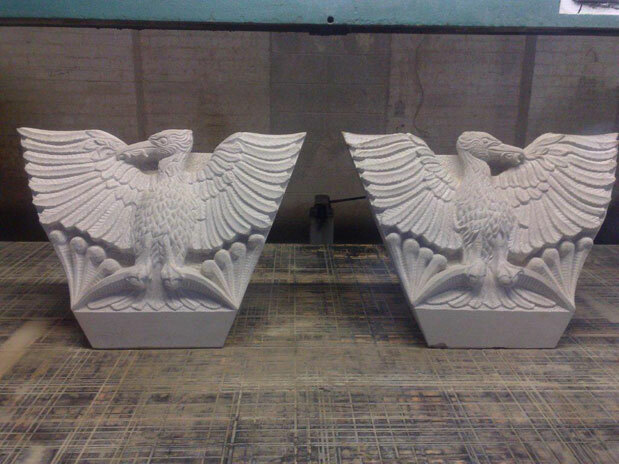 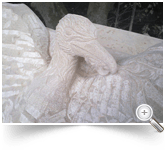 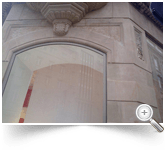 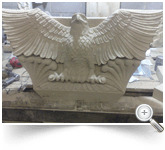 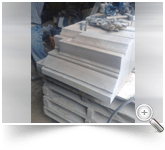 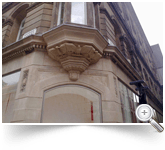 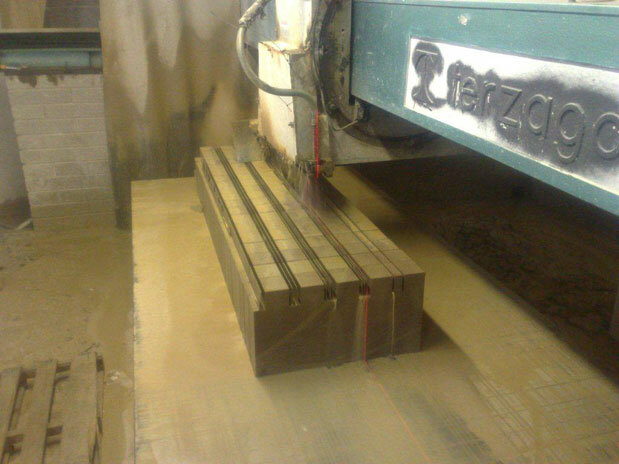 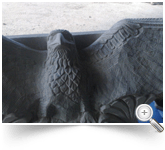 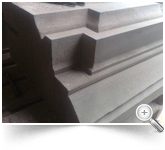 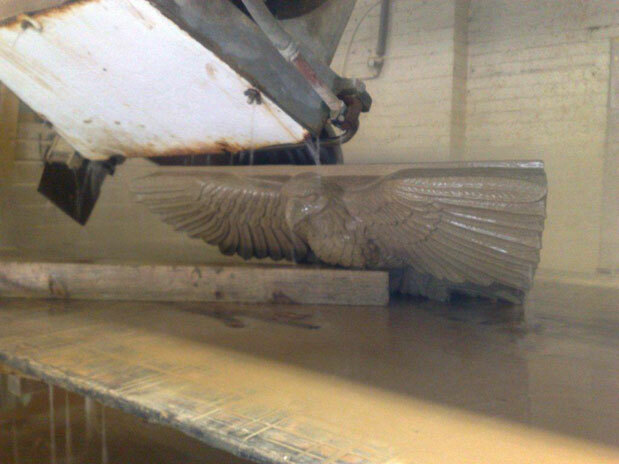 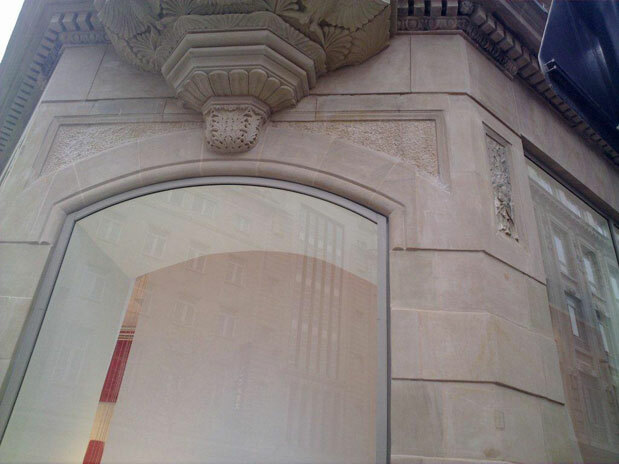 We carved all the finished masonry to specification including Dentils and Decorative Cornice for the whole front and sides of the building, indents for the previously inappropriate repairs; replacing stone fachias and columns as required. 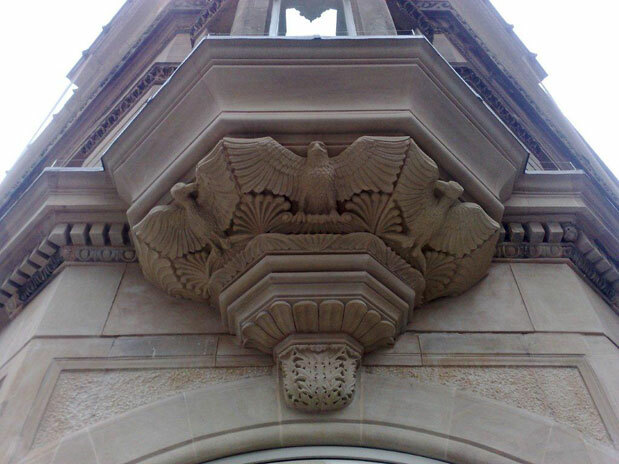 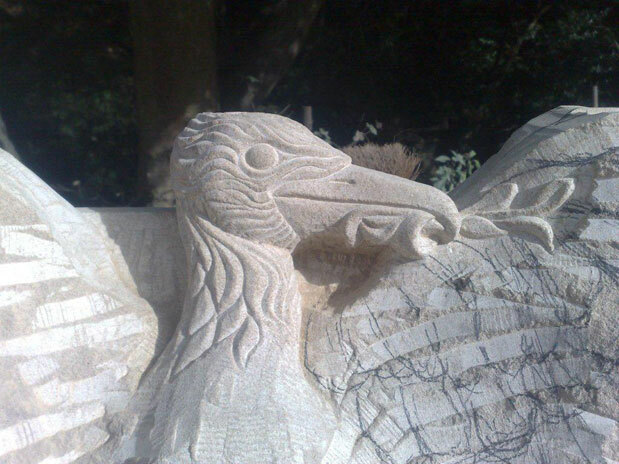 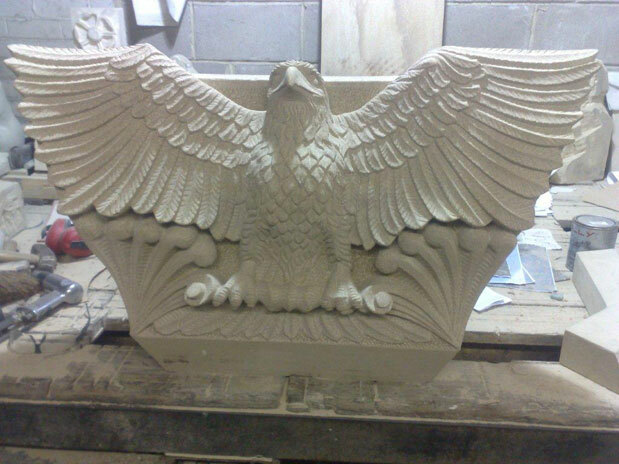 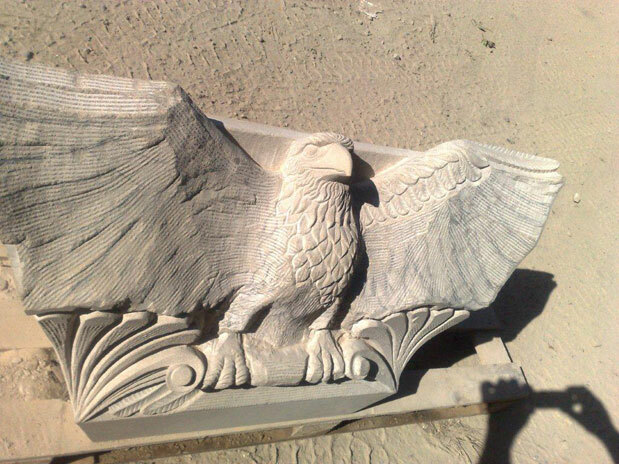 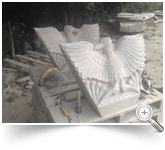 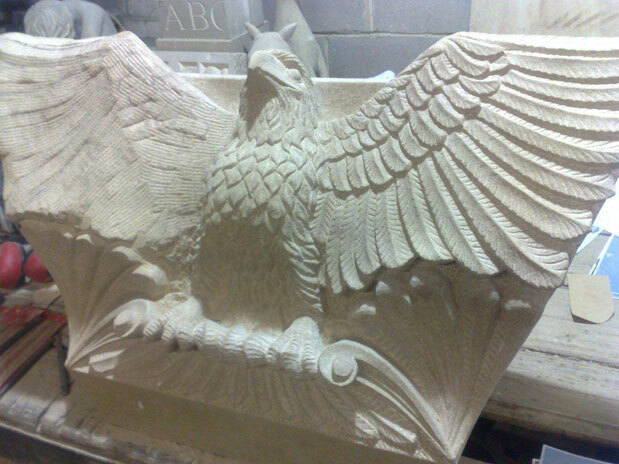 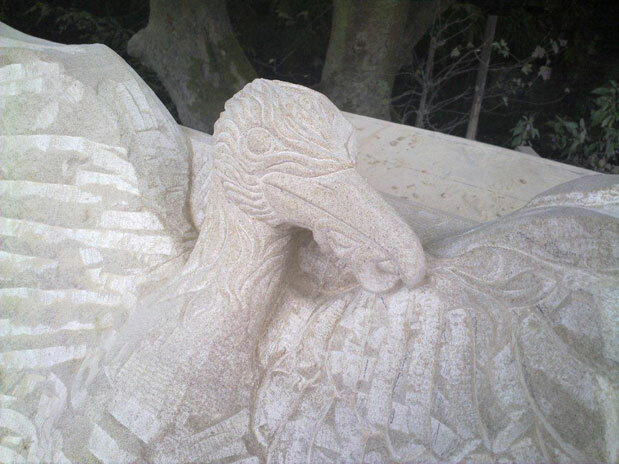 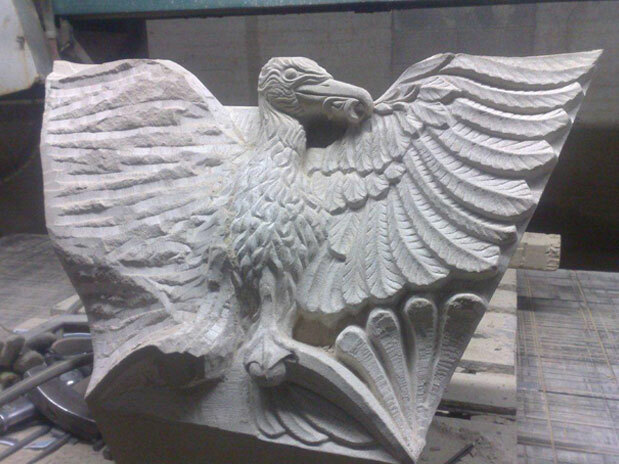 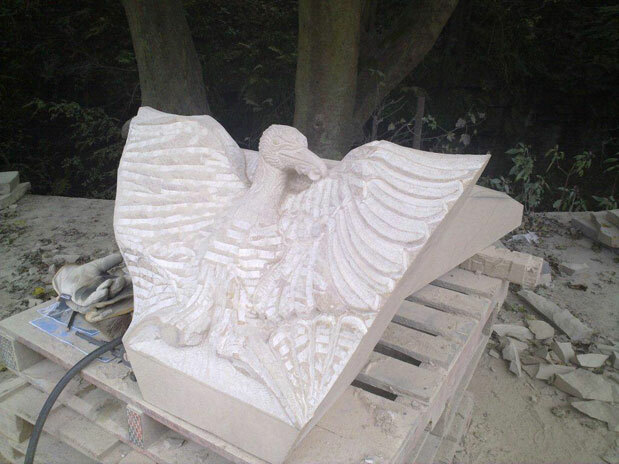 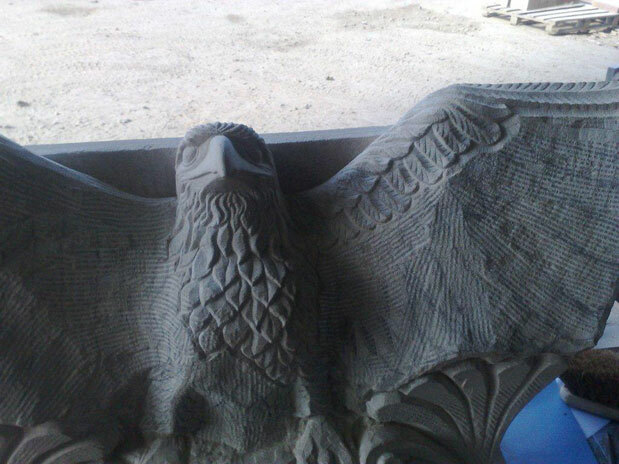 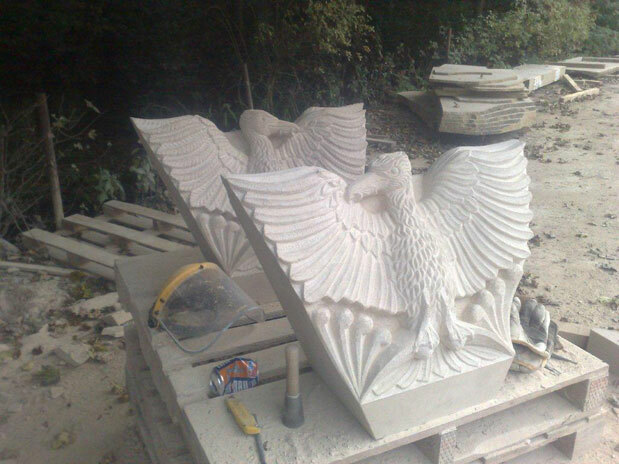 The project also included other intricate features such as the Oriel window with Carved Eagle and Liverbirds from in-house design conception through to carved realization.